Life With 4 Boys: AMEX Serve - A New Way to Send and Receive Money Online + #Win $100! 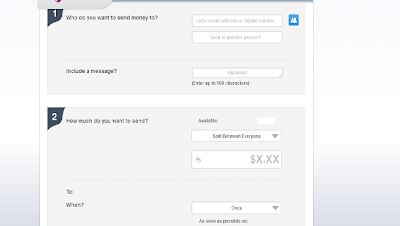 AMEX Serve - A New Way to Send and Receive Money Online + #Win $100! American Express has come out with a brand new venture called Serve. It is a quick and simple way to send and receive money online through email or with your mobile device. When I say simple, I do indeed mean simple. I recently created an AMEX Serve account and used it to send money to several friends. Want to hear more about my experience and have a chance to win $100? Check out the information below! "Serve is a next-generation digital payments platform that helps you organize your money, send and receive funds, and manage payment requests — all from a single, unified online account. Serve makes paying and being paid simple. Best of all, we're provided by American Express. That means Serve uses American Express security, technology, and data protection, giving you confidence whether you're shopping online or sending money to a friend." Signing up is literally as easy as 1,2,3. When I was first given this opportunity, I admit I was a little afraid of what signing up would entail. Would the process be lengthy and confusing? Would I be required to connect my debit card or bank account? Turns out the answer to both of those questions was a definite no. Sign up was a breeze and the only really personal information I was asked for was my birthday and the last four of my social. Not to mention, that the whole site is operated through American Express, so you know it is secure and can rest easy knowing your information is in good hands. Look how easy sign up is. 1. Visit the Serve signup page. 2. Fill out the one page signup form. 3. Verify your email address. That is it and as soon as you sign up right now, you get $10 in your account just for trying it. An AMEX Serve debit card is automatically sent to you when you signup for an account and can be used anywhere American Express is accepted to redeem the money in your account. The first ATM withdrawal of the month is also free and subsequent withdrawals are only $2.00. There is no charge for sending others money to their Serve account, transferring to one of your sub-accounts, and no charges for using the Serve debit card online or in stores. What was that about sub-accounts? Yep, you heard right. You can setup sub-accounts underneath your main Serve account that you retain control over. A great idea for parents who may be looking for a way to teach kids about responsible spending and saving. 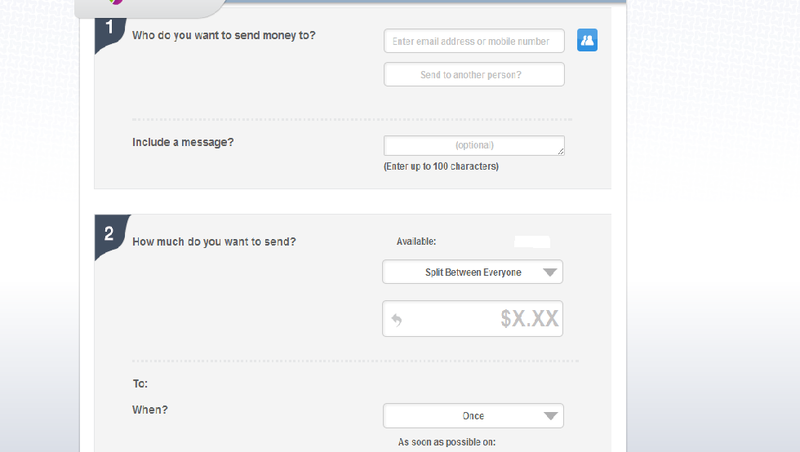 Sending money to other Serve account users is really easy and the send option has some great features. For instance, you can easily send to more than one person at a time by entering multiple email addresses in the boxes at the top of the screen. You can also specify one amount to split between all users you are sending to and Serve will automatically take care of that for you, or you can always specify different amounts for each person. We were given money in our Serve account to take a group of friends out to dinner. 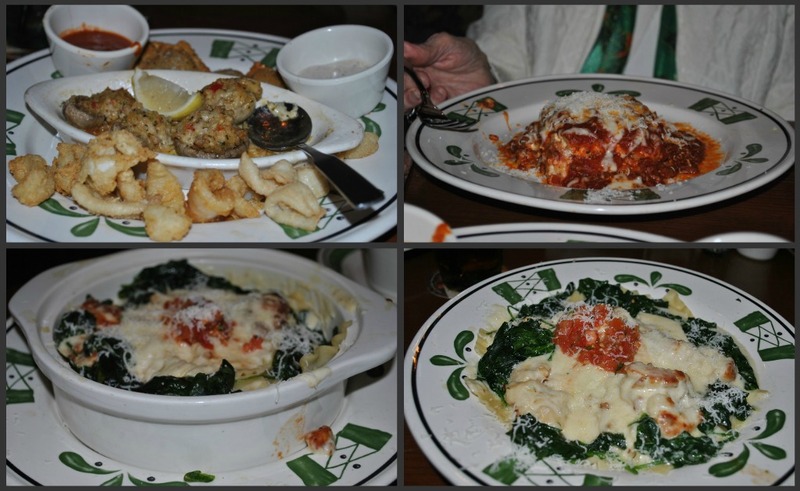 Me my mom and two of our friends headed off to Olive Garden. 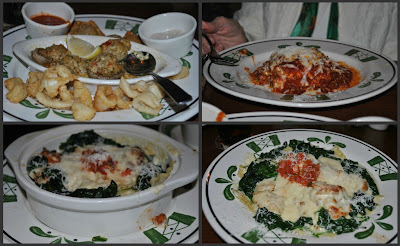 We had a great meal and when it was time to pay, we divided the tab and all paid separately. I of course wanted to give them the money back, so I sent them each their portion using Serve and the whole process took less than 2 minutes. While I encourage you to sign up for an AMEX Serve account anyway, because they give you $10 just to try it, you can now have a change of winning $100 deposited into your Serve account right here on Life With 4 Boys. One person who sets up an account and comments below will be chosen by American Express and win $100 in their account. So what are you waiting for? I also have a Serve account! I just got my card. I'm looking forward to using it! I am signed up! Thanks! I signed up for Serve not that long ago. I've already gotten $30 free for signing up, playing the trivia and referring friends! Serve is great! I signed up. I've already received $20 from them for signing up and playing a game. I've received my serve card too. Thanks for the giveaway. Set it up & invited some friends. Thanks for the contest. I signed up and referred my friends! Thanks for the giveaway. I've signed up for serve and I'm using it. I have signed up for Serve. I signed up for a Serve Account. Good luck to everyone! I am signed up with Serve, with my ISP email, not gmail. I signed up for Serve. Looks like a cool alternative to Paypal sometimes. I signed up! cindyorley @ akronohiomoms.com I would love to win to buy birthday party stuff for my 2 kids birthday parties in January! Thanks for the chance! I signed up with my email! I have a Serve account debramp (at) gmail and I think Serve is a wonderful idea! Thank you for the wonderful giveaway! Thanks for the great giveaway. This looks like it would be easy to send money. I signed up recently and would love to win. Thanks! I already signed up for Serve. spencerdaddyo at yahoo dot com. I signed up for an account at Serve. I signed up under rjs682 at yahoo dot com. I signed up for Serve and think its awesome! Sounds like Serve.com will let me dump Paypal once and for all! Thanks for the tip. I have an acct with Serve. I am signed up with Serve. I had recently signed up for a Serve. i set up an account, thanks for the information and i would love to win! I am wondering if sending money with CC with be regarded as cash advance? Anyone knows? Thanks.